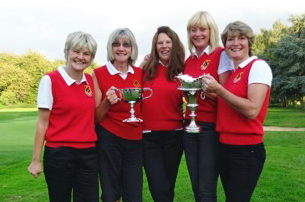 Warwickshire Inter Club Team Championship is open to teams of female golfers, currently 5 per team, from clubs affiliated to WLCGA. Format: Aggregate of 18 holes Stroke play by each team member for Gross and Nett awards. Full information will be sent to each Lady Captain during the summer period.